The Villa Lumi Bedside Table Lamp Armstrong, inspired by the American jazz trumpeter, singer, and an influential figure in jazz music - Louis Armstrong. 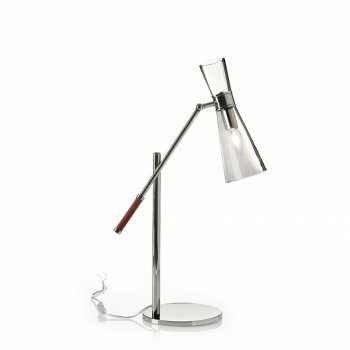 This Task Lamp combines noble metals and glass in a design that sends us back to the vintage trend of the 50s and 60s. 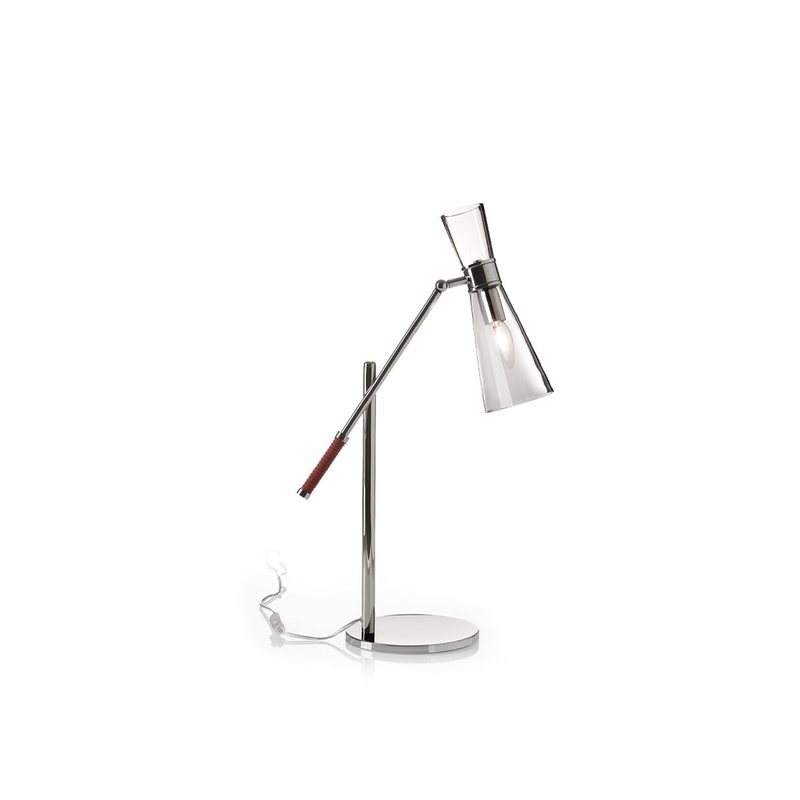 With an elegant and sleek style, the table light has a glass shade with an adjustable neck. It's ideal for tasks that need a little extra focus. Minimalistic Lamp, with its unique mouth-blown clear glass shade, finished with nickel for an elegant, sophisticated design is the great companion to the Villa Lumi Armstrong wall light. Perfect in pairs, it looks great in bedrooms, living rooms and office areas. Pair it with the matching Villa Lumi Armstrong Ceiling Light or Armstrong Wall Light (available separately) to complete the look.